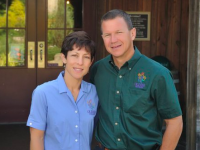 What began 15 years ago was a culmination of decades-long grape growing, winemaking, and welcoming wine lovers. 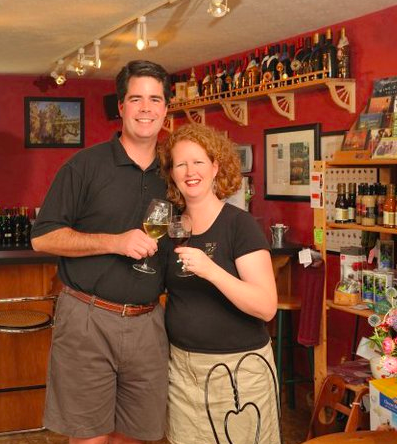 In 2003 we created the Indiana Uplands Wine Trail- the first wine trail in Indiana and the only trail of it's kind. 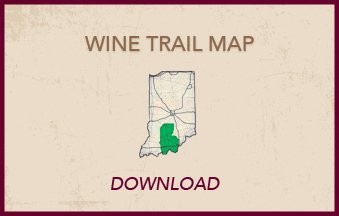 The trail became a way for people to taste and explore the great wine being produced in our Indiana Uplands region. Over the last 15 years, we've discovered even more. 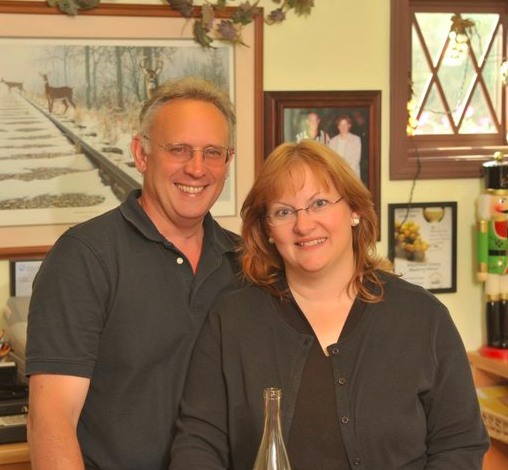 With nine award-winning wineries, hundreds of locally-produced wines, and thousands of visitors each year, the Indiana Uplands Wine Trail is proud of its first 15 years and looks forward to the next 15. 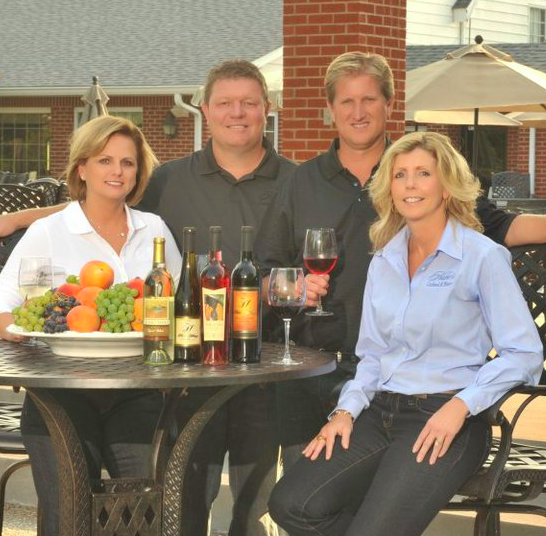 Our roots as a trail were established long ago, when the Huber family began planting grapes in Starlight, Indiana around 1840. 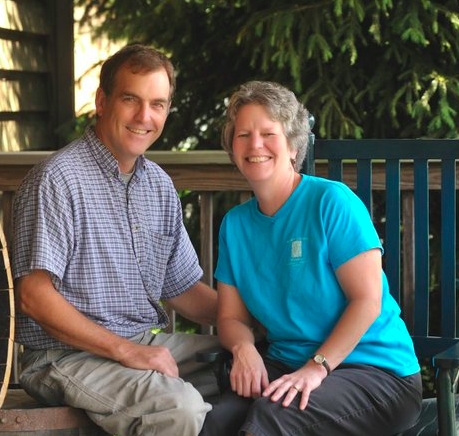 This farming family came to Indiana from Germany with a wealth of experience in growing fruit and other crops. Fortunately, Simon Huber also had winemaking knowledge and interest, and knew his new land would be ideal for producing wine. Of course, our region has evolved quite a bit since the 1840's. After prohibition, there was a long period of inactivity until Indiana's winemaking began to flourish once again in the 1960's with Professor William Oliver's vineyard just northwest of Bloomington. Since then, many grape-growers and winemakers have developed, and the Indiana Uplands has been recognized as a unique wine region (keep reading for more on that). Harvest is now plentiful each year for dozens of vineyards across the state. 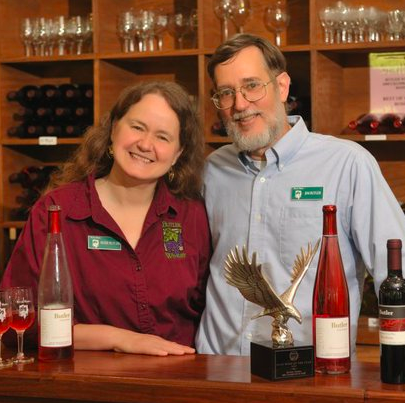 Over the years, Indiana winemakers have shared knowledge and learned from one another, forming a community around the art and science of winemaking. 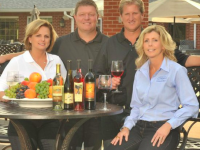 In 2003, a community of leading winemakers in the Indiana Uplands decided to establish the Indiana Uplands Grape Growers Cooperative and the Indiana Uplands Wine Trail. 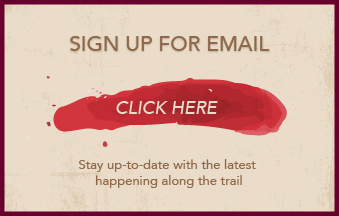 A wine trail is connected not by a direct route or path, but by a common goal and a shared experience to offer visitors. 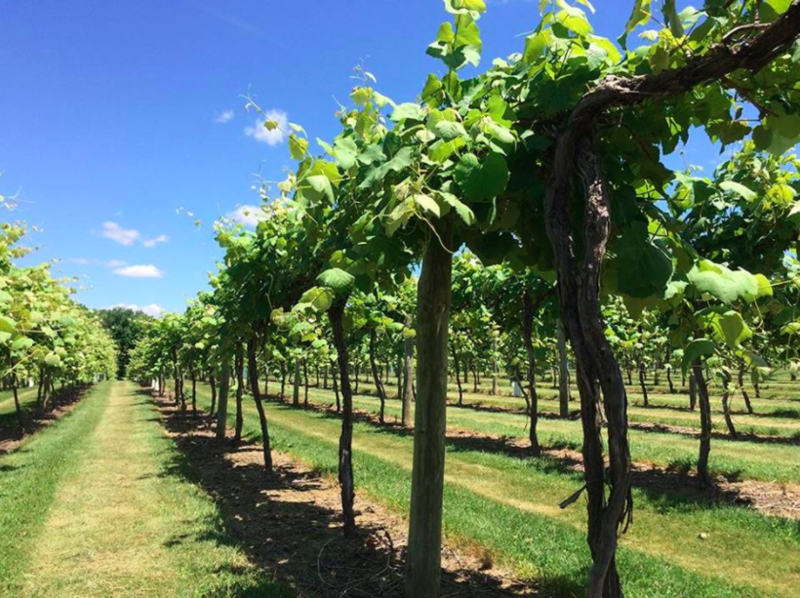 The trail was established as a way to highlight the fruit and wine being produced by the rich agriculture of the Grape Growers Cooperative, and to encourage visiting wine lovers to enjoy an experience at multiple Indiana wineries. Each winery has unique qualities and experiences to provide, and can produce a shared value in promoting one another. 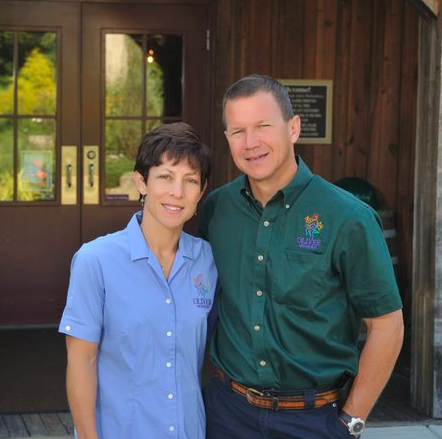 The trail's founding winemakers agreed to provide top-notch wine and visitor experiences and to guide visitors along the Indiana Uplands Wine Trail to discover everything this region has to offer. The Indiana Uplands is a geographical region that spreads across 19 counties and makes up 4,800 square miles in south-central Indiana. In 2013, The Indiana Uplands was federally recognized as a unique region for growing grapes. The Indiana Uplands American Viticultural Area (AVA) is the first and only AVA entirely within the state of Indiana. This official recognition as an AVA proved true what our winemakers had known all along: the rolling hills, clay soil, limestone bedrock, and cool growing season cultivate and ripen grapes in a way that is unique to any other region. 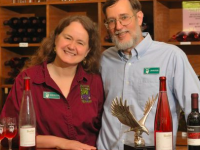 We are proud that the wineries who made up the Indiana Uplands Wine Trail were responsible for putting together the petition for this official AVA recognition. 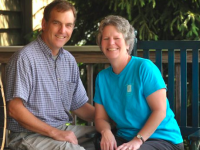 After years of gathering information and support, Jim Butler of Butler Winery submitted the petition in 2006, which finally received approval in 2013. The Indiana Uplands Wine Trail is entirely contained within the Indiana Uplands AVA. 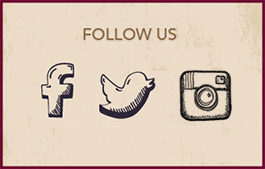 We represent Indiana's Wine Country and welcome you to come explore! 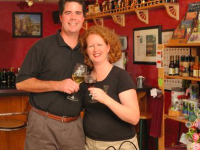 If you have a weekend to spare or enjoy taking day trips to explore, consider traveling the Indiana Uplands Wine Trail. You can visit all nine wineries in one weekend or visit a few here and there, completing the entire trail at your leisure. We think it's most fun to plan your trail travels all within one year, so you can compare and contrast the wines, the vines, and the experiences at all the wineries while still in recent memory. Maybe you discover a new favorite grape, like Catawba, and make a point to taste each Catawba wine you come across along the trail- while they are made from the same grape varietal they will all have unique tastes! Wherever you decide to begin, pick up a trail passport (new VIP passports being released this year!) and get it stamped at each winery. Once you've visited all nine, you can turn in your completed passport for a souvenir gift from us. If you complete a VIP Passport in 2018, you will receive our 15th Anniversary gift: an Indiana Uplands stainless steel wine tumbler! 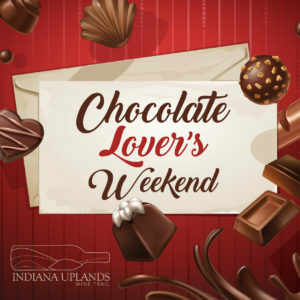 We also host trail-wide events and themed weekends (such as Chocolate Lover's Weekend and our upcoming 15th Anniversary Weekend) to bring the winery experiences together for special occasions. Our largest event, Uncork the Uplands, brings wine and people from all nine wineries together to the same place for one day- the 2018 event will be the 8th annual! Traveling the trail has never been more exciting than it is now! 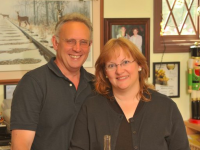 From large wineries with over 100 employees to small wineries where you are greeted by the winemakers themselves, we pride ourselves on the adventure you can find as you travel the Indiana Uplands Wine Trail. Travel the trail with people you love and prepare to visit again and again! Download a trail map here. 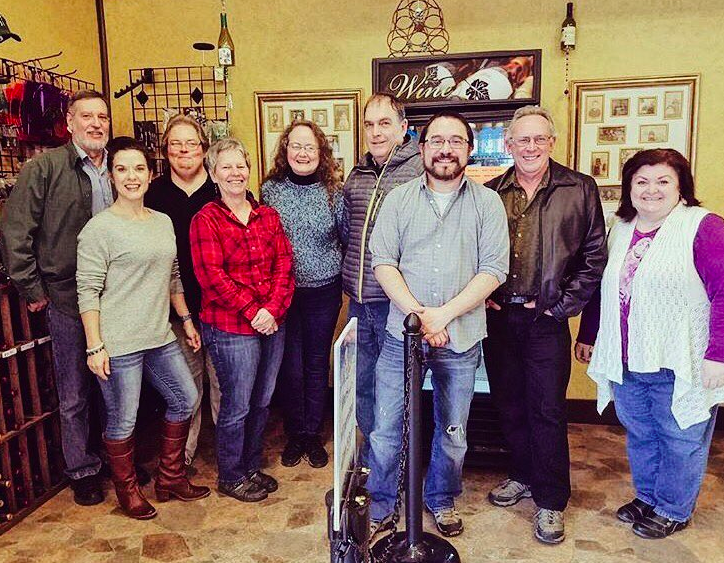 2018 marks 15 years as a wine trail and grape grower's cooperative- we think that's worth celebrating! We're throwing ourselves a little celebration to honor our anniversary and we hope you'll visit to help us commemorate this milestone. On April 21 & 22, each winery will have a sweet treat to offer along with your wine tasting to "cheers" to 15 years. See our 15th Anniversary Facebook event for more information. We will also be releasing our new VIP Passport during the anniversary weekend- be one of the first to travel the trail as a VIP! See you there! We can only imagine what's to come in the next 15 years. It has been a pleasure sharing our wines with you and we can't wait to welcome you back to the Indiana Uplands soon. Here's to another wonderful 15 years!